Do you have an old bottle of Maraschino standing around for no good reason? 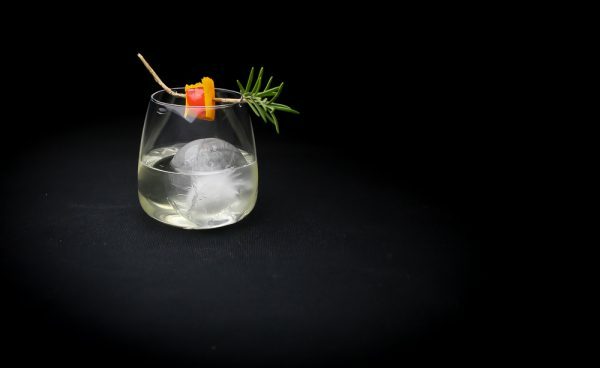 Make something good out of it with this Maraschino Orange Cocktail with Rosemary. This Maraschino Orange Cocktail with rosemary came to be by me finding an old bottle of Maraschino liqueur. Like what do you really do with this? I have used it in some classic drinks but those are far in between. So I decided to create a cocktail of my own with Maraschino. I wanted to pair the Maraschino with orange and I wanted the drink to be a little sweet but not too sweet. So I used gin with some orange bitters, a little bit of sugar and eventually I threw some rosemary into it. Didn’t turn out bad at all. 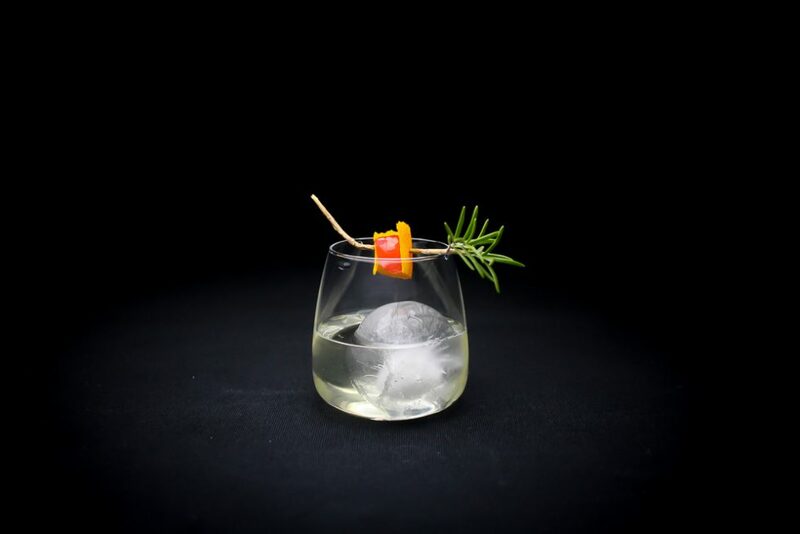 To garnish the drink I combined a twig of rosemary with a piece of orange peel and a Maraschino cherry. This makes the drink look more fun, especially since I wanted to leave the liquid itself clear with just a big piece of ice. But it does affect the drinking experience as well. For every sip, you’ll get a touch of orange, rosemary and the maraschino into your nose, so it’s not all to make it look fancy. Now let’s make this cocktail shall we? Add orange bitters and the rosemary to a shaker, muddle a few times. Add syrup, maraschino and gin. Stir with ice for 30 seconds. 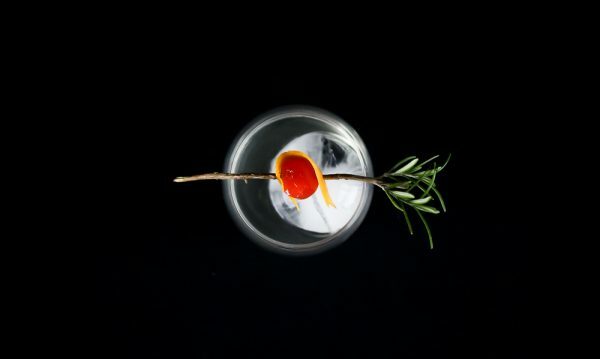 Make the garnish, cut a piece of orange peel, fold it around a maraschino cherry and pierce it with the rosemary twig. 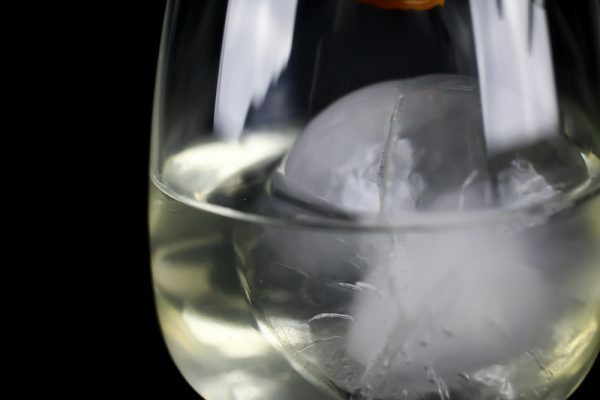 Add a big piece of ice to the glass and then strain the drink into the glass. 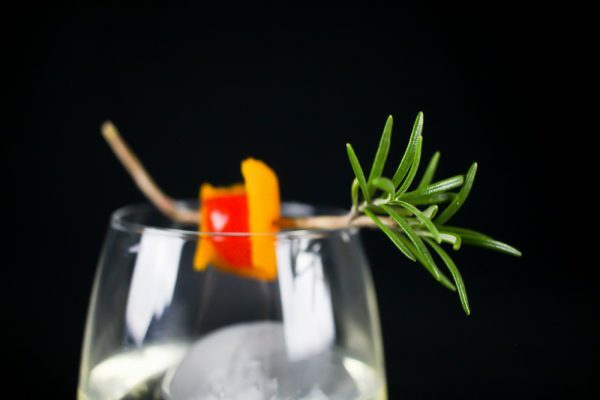 Garnish with the rosemary twig. Serve and enjoy!